Although two federal judges temporarily blocked President Trump’s latest travel ban preventing travelers from six predominantly Muslim countries from entering the United States, a sense of unease and uncertainty among Muslim students still permeates throughout the campus of American River College. The most recent ban would have included the countries Iran, Libya, Somalia, Sudan, Syria and Yemen, and while the new ban removed the indefinite ban on Syrian refugees, the entire U.S. refugee program would have remained suspended had the judges not temporarily blocked the order. 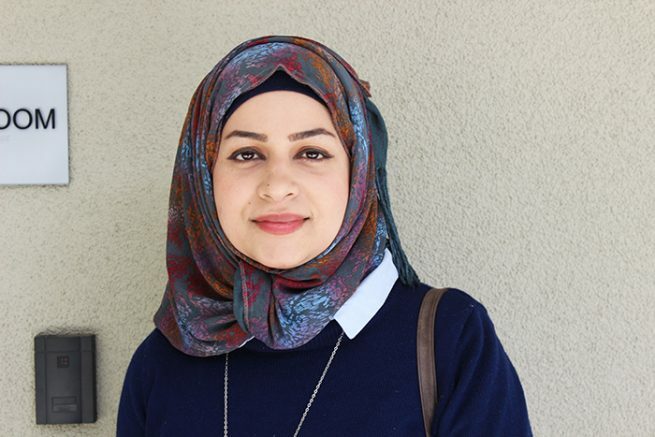 “ It makes me feel not safe” said Sarah Musawi, who is studying to become a Dental Hygienist at ARC. Musawi said she and her husband fled Iraq because their lives were in danger after having worked for a United States based media company in Northern Iraq. The proposed travel bans, often referred to as “the Muslim Ban” by opponents and proponents alike, was scheduled to take effect March 14 before it was blocked. “A reasonable, objective observer” would view even the new order as “issued with a purpose to disfavor a particular religion, in spite of its stated, religiously neutral purpose.” wrote Hawaii Federal District Court Judge Derrick Watson. District Judge Theodore D. Chuang in Maryland also ruled against Trump in the same day, ruling that the goal of the executive order was “the effectuation of the proposed Muslim ban” that President Trump promised to enact while campaigning for President. Trump has heatedly criticized the decision by the courts, calling them “an unprecedented judicial overreach.” and vows to continue fighting to instill a travel ban that will pass judicial muster. “I think we ought to go back to the first one and go all the way, which is what I wanted to do in the first place.” stated Trump at last weeks’ rally in Tennessee. Ban or no ban, Muslim students and their allies on campus are navigating the uncertainty in a myriad of ways. From handing out “Know Your Rights” cards at the Muslim Student’s Association during ARC’s Club days to helping students engage in meaningful dialogue across religious and cultural lines that push participants past tolerance, The MSA is committed to helping Muslim students feel welcome on the ARC campus. “… Tolerance is too thin a foundation for a world of religious difference and proximity. It does nothing to remove our ignorance of one another, and leaves in place the stereotype, the half-truth, the fears that underlie old patterns of division and violence. In the world in which we live today, our ignorance of one another will be increasingly costly.” stated Professor William -Zargeneh Lester, Department Chair, Assistant Professor of Humanities and faculty advisor to the MSA. “Dialogue means both speaking and listening, and that process reveals both common understandings and real differences. Dialogue does not mean everyone at the “table” will agree with one another. Pluralism involves the commitment to being at the table — with one’s commitments.” added Lester. According a report released in 2014 in partnership with the U.S. Department of State’s Bureau of Educational and Cultural Affairs and the Institute of International Education, the U.S. hosts over 880,000 undergraduate and graduate students in our colleges and universities. Many of these institutions have come out publicly against these executive orders and have gone to great lengths to communicate their commitment to easing the fears of their impacted students. In a written statement released by Los Rios Chancellor Brian King after the first executive order travel ban in January King reiterated the Los Rios Community Colleges District commitment to the safety and well being of all students feeling the impact of the travel ban as well as other proposed immigration changes being proposed by The White House. Regardless, keeping well informed in these troubling times seems to be the best defense. “We are a multicultural school. We need more information, we need to know our rights and keep informed” said Musawi as she rushed off her her class. Be the first to comment on "Muslim travel ban instills fear for U.S. immigrants"